Be sure to visit our showroom to see a wide selection of gas fireplaces, wood burning, fireplaces, electric fireplaces, stoves, pellet stoves, gas stoves, wood burning stores, electric stoves, firepits, high end patio furniture from leading manufacturers, accessories, hammocks, furniture covers, custom outdoor kitchens, patio grills, Big Green Egg Grills, Weber Grills, grill accessories, charcoal, firewood, pellets, umbrellas, patio awnings, and more. Huge selection of items in stock and available for pick up from our store in Lutherville/Timonium, convenient to 695 and I83 on York Road in Baltimore County. We can also special order custom items or entire collections. Next day local delivery available. Watson's Fireplace & Patio is a name you can trust. Family owned and operated since 1986. Serving Howard County including Clarksville, Columbia, Cooksville, Daniels, Dayton, Dorsey, Elkridge, Ellicott City, Fulton, Glenelg, Glenwood, Granite, Guilford, Hanover, Henryton, Highland, Ilchester, Jessup, Lisbon, Marriottsville, North Laurel, Savage, Scaggsville, Simpsonville, Sykesville, West Friendship, Woodbine, and Woodstock. 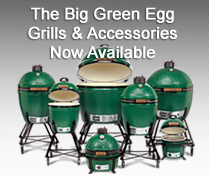 For more information about Fireplaces, Stoves, Firepits, High-End Patio Furniture, Accessories, Patio Umbrellas, Hammocks, Furniture Covers, Awnings, Patio Grills, Big Green Eggs, Weber Grills, grill accessories, and more visit our showroom convient to Howard County, just off 695 or I83, in Lutherville - Timonium at 1616 York Road. The Latest in Fireplaces and Patio Furniture In Stock at Watson's Fireplace and Patio. Looking for something special? We would be happy to custom order an item or an entire collection with one of our top manufacturers. Family owned and operated for over 30 years.